With spring break approaching and summer just around the corner, lazy days of reading while sipping on lemonade soaking up the sun are finally here! For those of us not fortunate enough to travel the world on a whim or have a call to adventure where we can jump into a different place and time, we still have stories! How many of you have picked up a new book and within pages, been carried away to an intoxicating world full of rich characters and exciting adventures? Colleen Houck has a true love for reading and loves to share the stories she’s enjoyed. 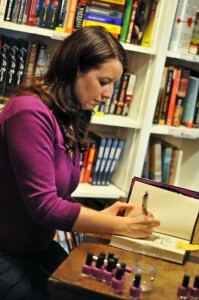 Bree Despain is not only another talented and witty author, but a personal friend of Colleen. They met on one of their scavenger hunts and have made a habit of going out to lunch when they are both in the same city. Bree is an awesome friend and Colleen is happy to introduce her to you! For today’s blog, we will be featuring the mastermind behind the Dark Devine Series and upcoming Into the Dark Series, Bree Despain! Bree’s Bio: “Bree Despain is the author of the Dark Devine Series and the upcoming Into the Dark series. As a kid, Bree would staple folded papers to make her own “novels.” As a teen, she wrote stories in notebooks while her friends waited for the next page to be finished. Her teachers told her she should be a writer. But Bree thought only special people could be writers, so as the years past, she settled into the idea of becoming a lawyer instead. will be available in stores and online for purchase on March 11, 2014! It’s always fun to get a little up close and personal with amazing writers so I’ve asked Bree some questions that you might be curious to know! Me: When and where were you born? 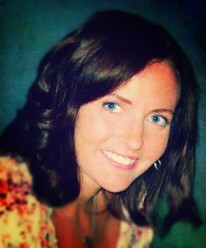 Bree: My birthday is January 13, 1979—I was born in the middle of a snow storm in Salt Lake City, Utah. Me: Do you have any siblings and If so, how many? Bree: Four. I am smack dab in the middle with an older sister and brother and a younger sister and brother. Me: What’s your favorite childhood story? Bree: When I was five years old, my dad used to tuck me in at night and tell me a story about a girl and her magic dragon. They would ride rainbows to magic lands and save people. Each night my dad would make up a new adventure for the characters so the story never ended. This is one of my earliest memories, and I think it’s where I get my love of storytelling. Bree: That’s a hard one. Ummmm, I’m going to go with rich chocolate ice cream. Me: Do you have a nickname and if so, how’d you get it? Bree: My nickname in middle school was “killer bee” because I punched one of the jerkiest guys from school in the face, at church. I broke his glasses and his nose bled all over the place. It was mostly an accident, but I became notorious for about a month because everyone had grown tired of getting harassed by this guy. Me: What kind of kid were you growing up? Bree: Shy and quiet in public (which was why the nose punching was such a big deal) but quirky and humorous with people who knew me well. I was always creative and loved theater and writing my own little books. My mom says that I didn’t play when I was a kid, I directed play. Me: Were you a good student? Bree: Yes. I have a bit of a reading disability so it didn’t come easily, but I was a little neurotic about getting good grades. Me: What did you want to be when you grew up? Bree: Either an archeologist or an actress. Me: What inspired you to write (or how did you start writing)? Bree: I took a summer off college and went to Pennsylvania to help run a drama program at a camp for inner-city kids. I started writing plays for the kids to put on—mostly fractured fairytales like a Cinderella murder mystery—and it reminded me how much I loved making up stories when I was a kid. When I went back to college, I started taking tons of creative writing classes and decided that I wanted to be an author. Me: How long did it take to get published? 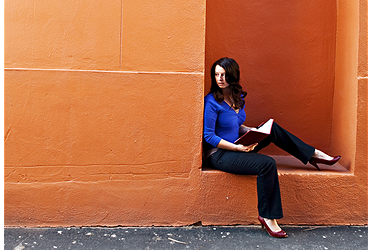 Bree: From the day I said, “Hey, I want to be an author” to selling my first book: 9 years! Me: What sparked the idea for you to write your first book, The Dark Divine? Bree: The Dark Divine was inspired by an old friend of mine who disappeared from my life, only to come back for one day several years later, and then disappear completely after that. I had always wondered what had happened to him, and what might have happened in my life if he hadn’t disappeared again. Me: What was your favorite part of the book(s)? Bree: When I started writing that book, I had no idea it was going to become a paranormal romance. Bringing in werewolves and monsters and superpowers was so much fun! Me: What was the hardest part to write in the book(s)? Bree: Fight scenes. Those are always hard. Sometimes I make my hubby act out the staging of the fight scenes so I know if what I’m writing would actually work. Good thing he comes from a theater background! Me: What are some of your favorite books? Bree: I love the Amelia Peabody series by Elizabeth Peters because it’s about a family of archeologist (with romance and murder mysteries thrown in). I also love books that use mythology or fairytales in a modern or future setting like Tiger’s Curse or The Lunar Chronicles by Marissa Meyer. I’m a huge Harry Potter fan, I love the first two Hunger Games books, and Eclipse from the Twilight series will always be one of my favorite books. Me: If you could have dinner with one person, dead or alive, who would it be and why? Bree: Audrey Hepburn. She was my hero through most of my teen years. Bree: I believe in interest or attraction at first sight, but I think love is something that grows over time. Me: If you could hold on to only one memory, what memory would you choose and why? Bree: Kayaking on the lake by my house with my husband and sons in the summertime. This is when I feel the most content and happy and the people I love the most surround me. If all I had were that memory, I would still know that I’ve lived a happy life. Bree: Read, watch movies, go to plays, kayak, Vespa-ing, and leisurely riding my bike or walking around the lake. Me: What was your life like before becoming an author? Bree: Pretty much the same as it is now—being the mom of two boys and trying to sneak in writing time any chance I got. I’m just a bit (haha) busier now. Me: What motivated you to write a story based on Greek mythology, specifically the story of Hades and Persephone? 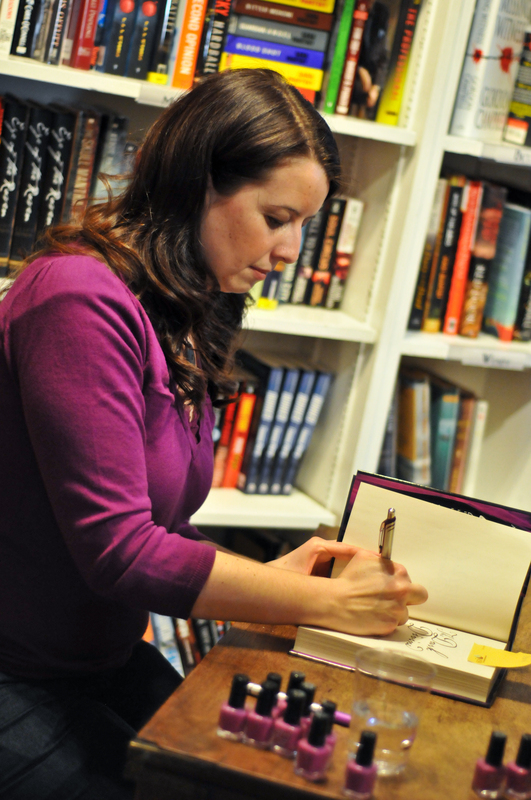 Bree: The original inspiration for the book came from the song “I Will Follow You Into The Dark” by Deathcab for Cutie. I used to listen to the song on a loop in my car and wonder about the sentiment behind it—the idea of loving someone enough that you would follow them into the dark (or the unknown, as I like to think of it). I’m a huge mythology geek, and both the stories of Persephone and Hades and Orpheus and Eurydice came to my mind as characters went “into the dark.” I also wanted to explore more feminist interpretations of the Persephone myth, in which she is a not a victim but a powerful driver of her own destiny. Me: Which character, Haden or Daphne, was created first in your mind and who (if either) do you relate to more? Bree:Haden came to me first. 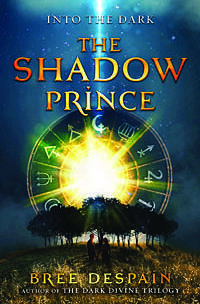 The very first image that came to me for this book was of an Underworld prince (who has superpowers) sitting at a table in a high school cafeteria, pretending to be an average teen and feeling completely overwhelmed, and then another student tries to pick a fight with him. Haden has to force himself to let the guy hit him without retaliating, because he knows that he is not in control of his powers enough in the mortal world to not kill the guy with his strength. That was the first scene I wrote about this character many, many years ago—and I am happy that a version of it made it into the book! I think I relate most to Haden because I often feel like a fish out of water. Daphne is more confident than I am in most social situations. Me: I thought it quite unique to read a story that bounced back and forth between the two character’s perspectives. What motivated you to write in the style that you did and were there any pros/cons that you discovered along the way? Bree:I started writing this book about seven years ago. The first character who came to me was Haden, but at the time I was scared off from the idea of writing from a guy’s POV, so I started the story over using Daphne as the POV character. However, Haden’s character kept popping up in my head. He would not leave me alone! So after writing three books and living in a house full of boys for several years, I felt like I had enough experience to give his POV a try again. In the end, his POV was actually the easiest for me to write. The pro of writing dual perspective is that I loved being able to tell both sides of the story. The hardest part about writing dual POV is that it was hard to switch back and forth inside my head from scene to scene. What I ended up doing was writing a very detailed scene by scene outline of the book, so that way I could write several scenes in one character’s POV before switching to the other and going back to fill in what happened in their scenes. Me: Daphne is quite musically gifted. Are you musical too? Bree:I have absolutely no musical talent! After suffering through four years of piano lessons, all I could play was the right hand to “When I Fall in Love.” However, I have a great appreciation for music and the musical talents of others. Discovering new songs and bands is one of my favorite things. Me: Which series did you like writing more, the werewolf series of this new one Into the Dark? Bree: That’s a hard question—all of my books are my babies. My first novel The Dark Divine will always have a special place in my heart because it was a book I wrote for myself, without deadlines or any outside pressure or expectations. Each book I’ve written since then has been ten times harder than the last—but that’s because I keep trying to challenge and push myself. At the moment, The Shadow Prince is my favorite book—not because it was easy to write, but because it was super hard. This book was challenging and complex, and having tackled it, I feel pretty darn happy with it. Me: How personal is your writing? Bree: I put a lot of myself on the page. I like to think of being an author as being a sponge—I soak up the world and inspirations around me and then filter it through my own life experiences on to the page. Bree: Yes. I used to be a panster (write by the seat of your pants), but in-depth outlining helps me live through tight deadlines. Me: What is your writing routine? Bree: I am naturally a slow writer who would normally agonize over every word and barely get anything on the page day after day—so to combat this (and make my deadlines) I make myself write in fast sprints during the day. Like challenge myself to write 1000 words in an hour, two or three times a day. Making myself go fast forces my overbearing internal editor to turn off and then I can just write. I love revising, so I am always happy to have something on the page that I can then play with and make pretty later. Me: Which comes first, the story or the character? Me: What advice would you have for someone who would like to become a published writer? Bree: You need to be willing to revise. That’s where the magic happens. Me: How is your life different now that you are published? Bree: It’s a whole lot busier! But I have also gotten to meet so many wonderful people—readers, writers, authors—who I never would have met otherwise. Me: What is your main goal when you write a book? Bree: To tell a good story. Me: Who has inspired you and influenced your work? Bree: Meg Cabot, Elizabeth Peters, JK Rowling, Joss Whedon…and so many others it’s hard to name them all. Me: In one sentence, what advice would you give to an aspiring author? Bree: Find happiness in the journey, not just the destination. So that’s a little glimpse into the beautiful life of Bree Despain. If you’d like to check out her website, click here. If you’d like to purchase her new book Into The Dark, click here. If you could read a young adult trilogy based on any myth, which one would you chose and why? *A winner will be selected and announced over the next few weeks. This entry was posted in Contest, Featuring Authors. 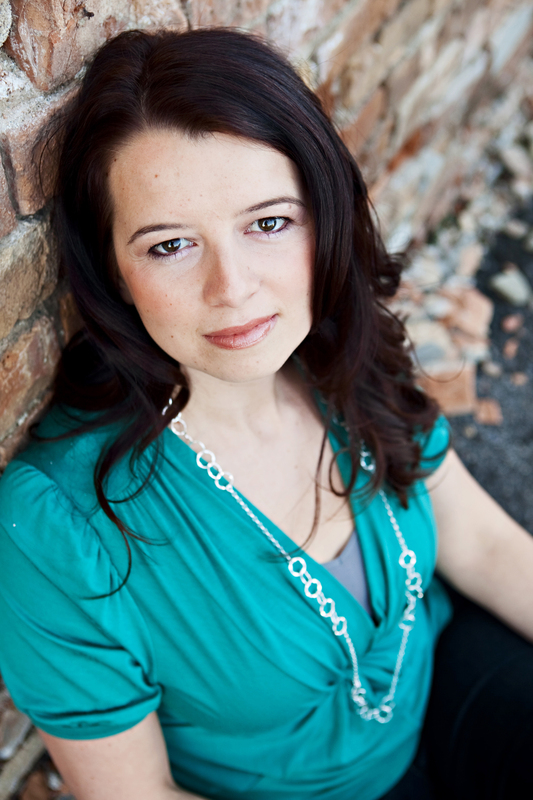 12 Responses to Featuring the award winning author, Bree Despain! Any of them! I love mythology and am always looking for a chance to get my hands on a new novel! I know almost every story Greek mythology has ever produced! I think it’s interesting because every story leaves you wondering “What if?” My favorites are ones with mythological creatures in them like the gorgon or the centaur. If it has a little romance in it, it makes the book much better! I want to be an author so bad, but I can’t seem to get rid of my writers block I’ve written almost two chapters already but now i can’t even write a paragraph any ideas? Um, I would think on the city of Atlantis because there’s so many different ways you could look at the mythology around it. Hm….. That gives me an idea for a story…….. There are so many different mythological beings and traditional stories that it’s very difficult to choose just one. Middle-Eastern mythology in general, I have found entrancing since I was a little kid. However, European myths can be quite fascinating, as well, and I absolutely love seafaring lore. I read a novel once that involved the Selkies from Orkney folklore (the book is called “Seven Tears Into the Sea,” by Terri Farley), and the concept of Selkies was quite entrancing. I haven’t been able to find other novels based on the creatures, though, even though they have so much potential for a good story. I think Selkies are the myths that I would like to read about the most. I would love to read a book about King Arthur and Merlin and Camalot, etc. I loved the television series and was devastated when it ended. I would absolutely love to read the story because books are always better than the movies and TV series! Am I right? I would like to read about Medusa, I think it would be really interesting to see it turned into a YA trilogy. I love love LOVE when people write about King Arthur and such, medieval is a great time period. But if we’re going myth myth, I’d have to go with something that takes place in the Greek Underworld, always thought that was a cool place that left lots of room for your own spin on it. Thanks for the Giveaway!! I would like to see a trilogy revolving around the greek myth of Leto, the titaness wife of Zeus. She was plagued repeatedly by the jealous Hera and showed great perserverance and love to protect her unborn children (apollo and artemis), risking her own life until she found a safe haven to raise her children. The love of a mother for her children is so powerful, it would make people realize the meaning of true love and the courage and loyalty it takes to stand up and protect the ones you love. Any, I love all mythology! but if I had to choose I think I would want to read about the titans, I always found that story so interesting.